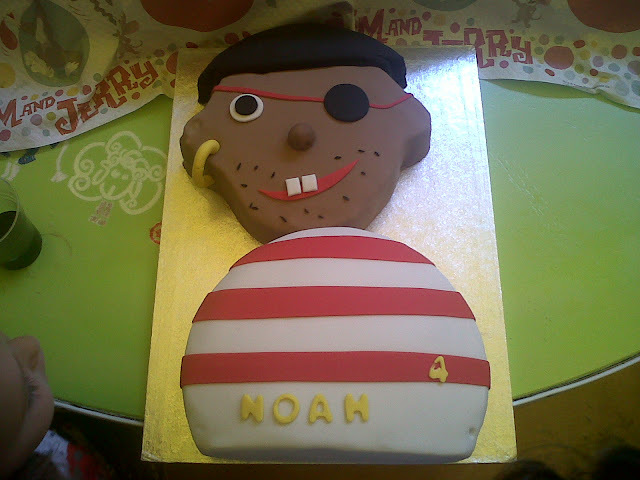 Our eldest son is into pirates. He's into pirates to the point that at times he is completely convinced that he is a pirate. So when his b-day rolled around this year, we wanted to do something special for the cake. It was a huge hit, and our Noah was delighted. Thank you, Letizia! What beautiful work you do!